I have never been a big fan of horror movies. Getting scared on purpose was never something that I quite understood. One of the scariest movies I ever saw, though, was a film back in 1995 called Outbreak with Dustin Hoffman which showed the response that the world would likely have to a global pandemic if one were ever to occur. Not only has Facebook gathered huge numbers of members – half a billion at the last count – but the social network has also become the number one social presence in many countries, displacing some home-grown domestic social networks. As many people predicted it would, Yahoo’s acquired a location-based social network, announcing the deal this morning. But rather than buy Foursquare, which was the subject of numerous acquisition rumors, Yahoo picked up Koprol, an organization based in Indonesia. Microsoft has added a new social sharing feature to Bing Shopping, which lets people share products with members of their social circle via Facebook, Twitter, or email. "Folks can now ask for input before they make that important purchase," a representative for Bing tells WebProNews. Pandora and Facebook will be deeply integrated according to an announcement at the F8 Developer Conference today. using Facebook’s new Open Graph protocol, Pandora will stream music directly onto the social networker from bands that fans have "liked” using Facebook buttons placed on other web sites. Users can also see what kind of music their friends are "liking" as well. A new study released today shows that consumer use of social networking web sites is not a youth phenomenon. 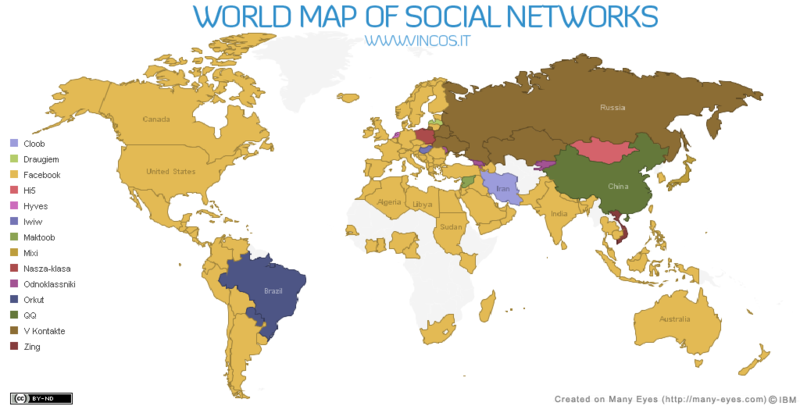 Apparently now at least half of those living in the United States have social media profiles. While nearly eight in ten teens (78 percent) and 18 to 24s (77 percent) have personal profile pages, almost two-thirds of 25 to 34s (65 percent) and half of 35 to 44s (51 percent) also now have personal profile pages.